Chanukah is coming! For eight days, the Chanukah Menorah is lit each night amidst great festivity. A Menorah is an eight branched candelabrum, with a ninth arm used as the “shamash” or the candle that lights the other eight. Menorah in Modern Hebrew is the term for any manmade light source such as a candelabrum or an electric room light. The term Hanukiah was invented to differentiate between a common household electric lamp and the Chanukah Menorah. Many households beautify this ancient ritual by using a sterling silver Menorah (Hanukiah). This shows how important the mitzvah of lighting the Menorah is in the eyes of those who embellish the mitzvah by using ornate silver Menorahs. 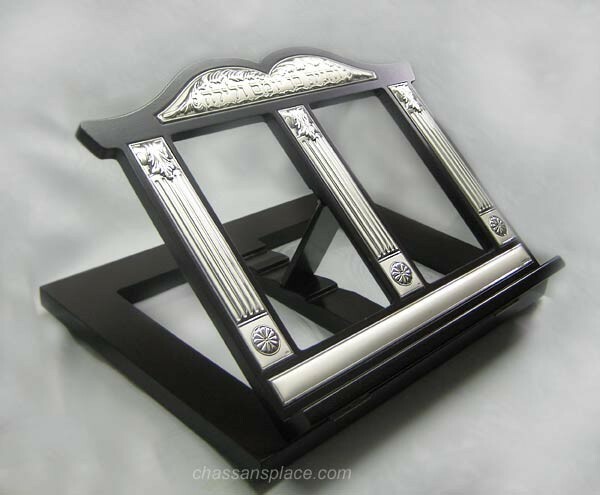 The Chassan’s Place has a large selection of magnificent sterling silver Menorahs (Hanukiahs) that will bring special meaning to this significant mitzvah. There are numerous styles and shapes that cater to all budgets and tastes. Take this beautiful Silver Menorah as an example, with modern fluid lines and Roman column detailing on the candlesticks, this beauty is an impressive work of art. If you’re more of a traditionalist then the Hazorfim Roma Silver Menorah is a magnificent piece. Whatever your style or budget may be, The Chassan’s Place has a Silver Menorah for you this Chanukah! I am always looking for useful and original gifts. It’s one of those “things” that are always on my to do list. Bar Mitzvah gift for nephew. Birthday present for husband (that’s the hardest one!!). Thank you gift for teacher or Rebbi. Take a look at these shtenders currently in stock at thechassansplace.com. A shtender is the jewish word for a book-stand and is used at home, school or synagogue as a practical place to put your book, siddur or sefer. The shtenders being sold at thechassansplace.com are unique in the fact that they’re tabletop size and foldable so it won’t get in the way when not in use. They are also beautiful to behold, with sterling silver accents inlaid in the wooden shtender. A gift that’s beautiful and functional at the same time! But it gets better. It won’t break the bank either. At only $110 this fits my budget for a gift for the bar mitzvah boy, or hubby. How about a Chanukah gift for your father or father-in-law? Thechassansplace.com values your patronage and will provide a discount on bulk orders. If you buy 5 shtenders or more, you will receive a discount of $20 per unit. If you buy 10 shtenders or more you get a larger discount of $30 per piece. Leather Tallis Bag? Something Different! This beautiful and unique Tallis bag is made out of genuine leather – a real royal gift for your special Chosson! Silver Candlesticks – Silver & You! Our already vast selection of candlesticks has just grown! 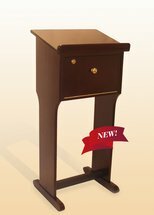 We proudly introduce the latest Hazorfim releases on the shabbat candlestick front. The most popular style this season is the new and sophisticated Bolero Silver Candlesticks. Sleek and elegant without comparison. Choose from either the Hammered or Sleek look. And then there is the Elegant Silver Candlesticks line which has a class of its own. Traditional and classy at the same time! The Zurich Silver Candlesticks have a statement of their own to make! Sharp lines and attention to detail – zoom in real close to see this magnificent pair of candlesticks. These and many more have joined our silver candlesticks showcase and we look forward to helping you choose your very own pair of candlesticks to grace your shabbat table. 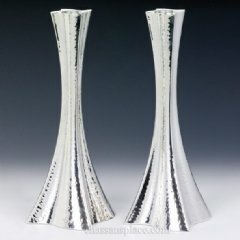 Since we stock all silver items displayed on our site, thechassansplace.com boasts close up and one-of-a-kind photographs for your browsing comfort! Honey Dishes Oh So Sweet! We can all easily bring to mind that sight of the Rosh Hashana table set in all its spendor. The red apples resting on the yom tov table right next to the honey dish filled to the top with rich golden honey. An awesome sight indeed. 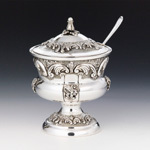 The Chassan’s Place has a large range of silver honey dishes in an array of styles. Honey Dishes with a foot, some honey dishes without. Some with a little crystal and some with a lot! No matter your taste, we’re sure you’ll be delighted with our selection. We’ve waited a while for this moment and are very excited to roll out our very own line of shtenders – and what a masterpiece it is! Our shtender which we aptly name “Shtender Supreme” has already made quite a noise with people placing their orders online. We have actually started manufacturing our second batch! Entirely Solid Wood – and we mean it! We actually broke apart the first shtender just to confirm this! Easy Assembly – we tested many men (and women) and they all agreed to the ease of assembly. 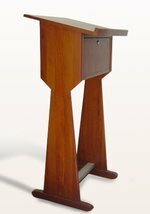 And of course the Shtender Supreme has a beautiful finish and craftsmanship which you will be proud to display in your study, dining or living room. They’ve caught your eye everywhere, and they really do look royal. But the price is probably just as royal – no? No! 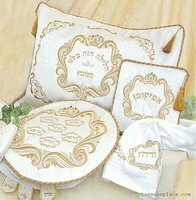 The ChassansPlace has a complete line of pesach sets that won’t break your coffers! The material? Finest brocade. The tassels? Maginifcent ropes of gold. The designs? Straight from the artists. 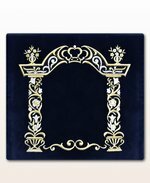 The finest materials and workmanships have gathered together to make your Pesach Seder table fit for a king with these brocade pesach sets. Is a velvet tallis bag your style? Or maybe you prefer the leather/suede tallit bag look? Or how about a luxurious hand-made tallit bag? We know that every tallis-wearer has their own personal taste when it comes to a tallis bag, and so we have combed the world to bring you this selection. We are sure you will find the tallit bag that will suit your taste on thechassansplace.com. Need benchers or birkonim for your simcha? These popular souvenirs are a really sweet and practical way for your guests to remember your simcha and the good times they had there. Not only are these benchers great for a chatunah, they are becoming increasingly popular at bar mitzvahs and bat mitzvahs and sheva brachot. We even have a selection of Nussach Ari Benchers – Chabad Benchers! 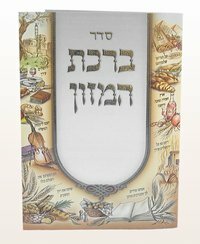 With a full selection of Zemirot Shabbat, Seasonal Benchers, Special Tefillos (like Hafrashat Challah Booklets, Bris Milah Booklets, and Perek Shirah) to name a few, your simcha is bound to be complete! How do you like your shtender? Tell us what you are looking for in a shtender and if we use your suggestion, recieve 5% OFF your shtender purchase! How’s that for a good deal? !